What is a farm without a farm store? Open year round, our store is a cross between an old-fashioned apple stand and a millenial’s organic market. Our award winning hard ciders, Haybaler Switchel and vinegar are always available, and depending on the season and availability, we have a variety of other products as well. While our hard ciders and Haybaler are known nation- (even world-) wide, our organic apples are the stars of the show from the end of August until they run out in the New Year. 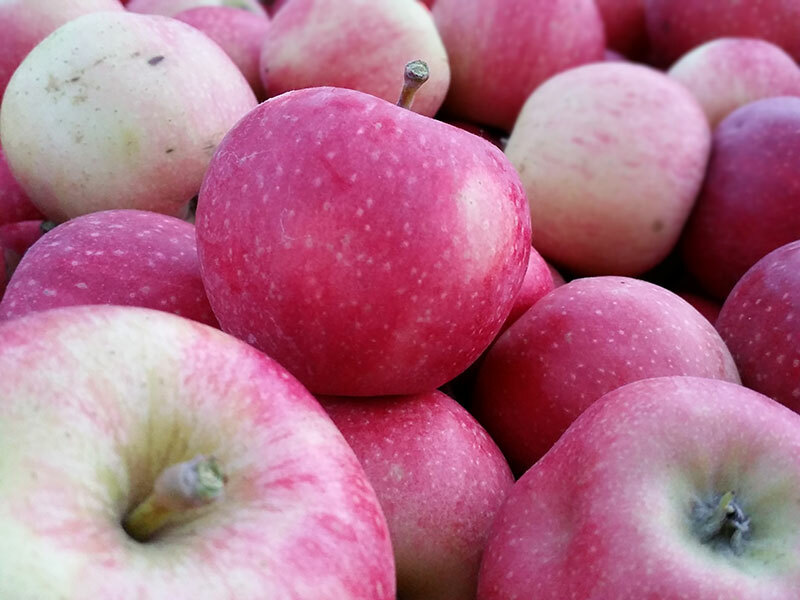 We grow over 50 varieties on the farm, but only the best eating and cooking apples are offered for sale in the store. Check Facebook our call us at the farm to see what we have available. 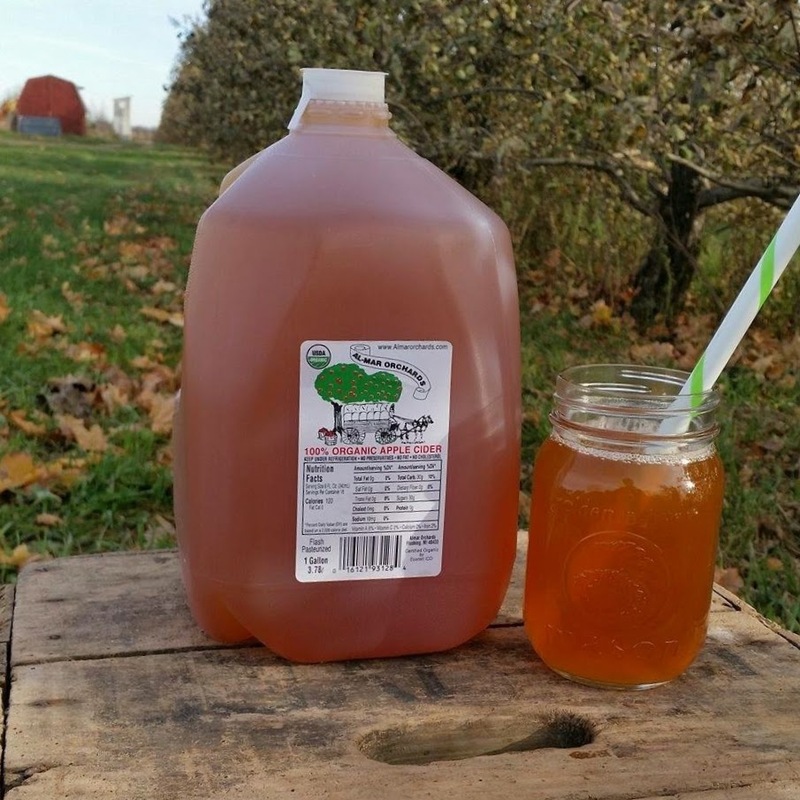 Apples that don’t make the grade for eating or cooking are first turned into our Fresh Organic Cider. Available from the point when we have a good blend of apples at the start of The Season until the cider runs out the following year, our organic, unfiltered, pure apple cider is second to none. 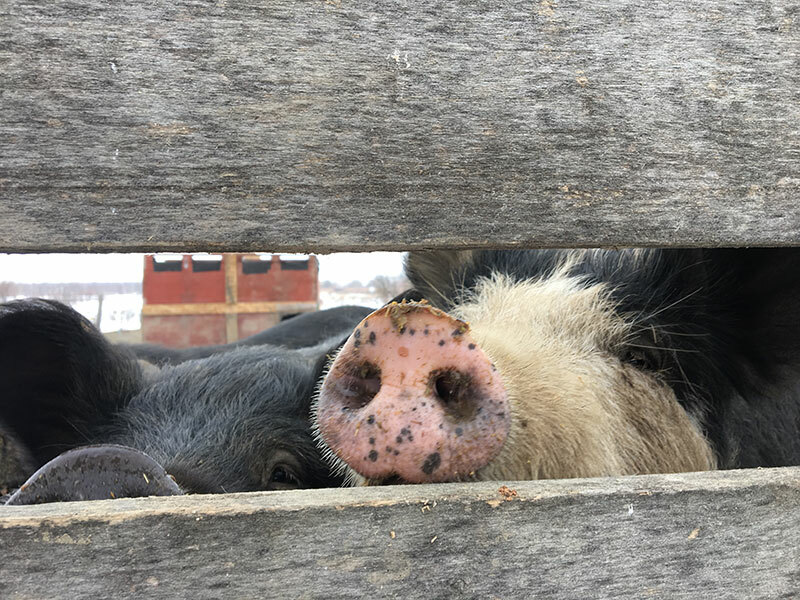 Traditionally, pigs have been the garbage disposals of farms for hundreds of years, and the apple pulp “waste” from our cider production is a major part of the diet of our herd of heritage, pasture-raised, pigs. Our pork is naturally lean, sweet and processed organically. Frozen pork is available in the store – do call ahead to check availability. 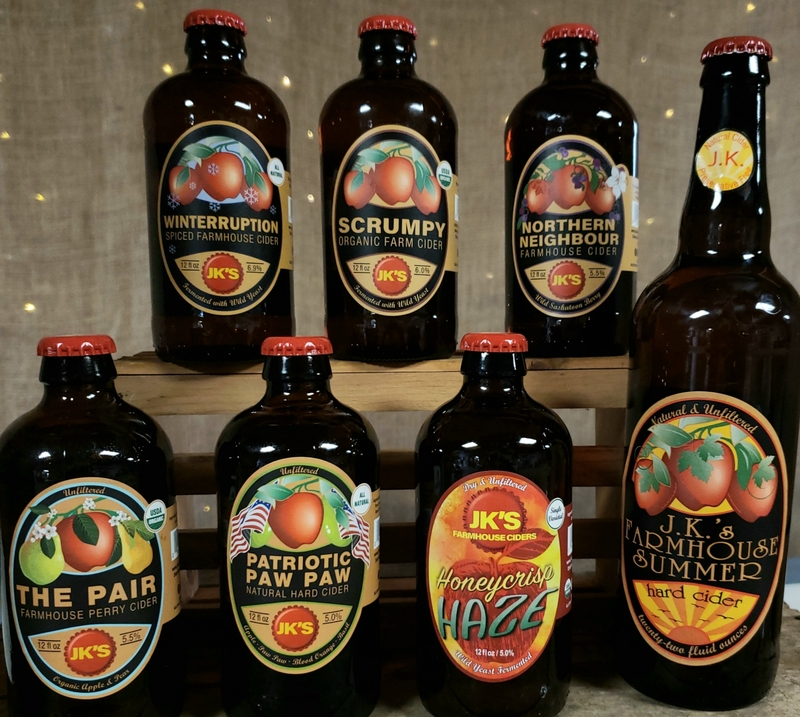 JK’s Scrumpy is “The Original” – a pure blend of apples, unfiltered and without additives – is a world-class hard cider, and only the start of what we have available. In the store we have seven “standard” varieties, and always have a number of limited releases on tap for you to taste. 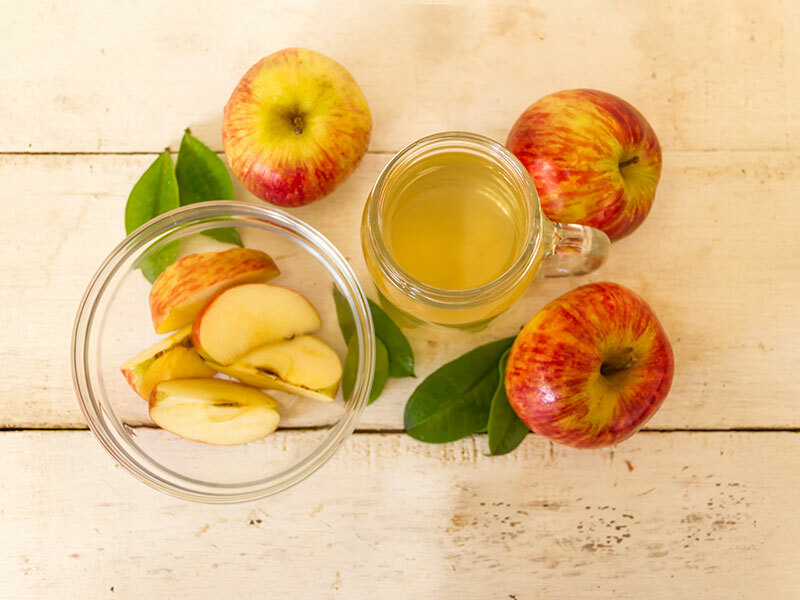 As the story goes, the women-folk used to take the men-folks hard cider to turn into vinegar, thus saving the men from the “evils of drink”, and producing a means to keep them working harder (Switchel), as well as a way to preserve a variety of foodstuffs. We have our own slowly fermented vinegar with the Mother, as well as Golden Valley vinegar imported from Idaho, available in the store. 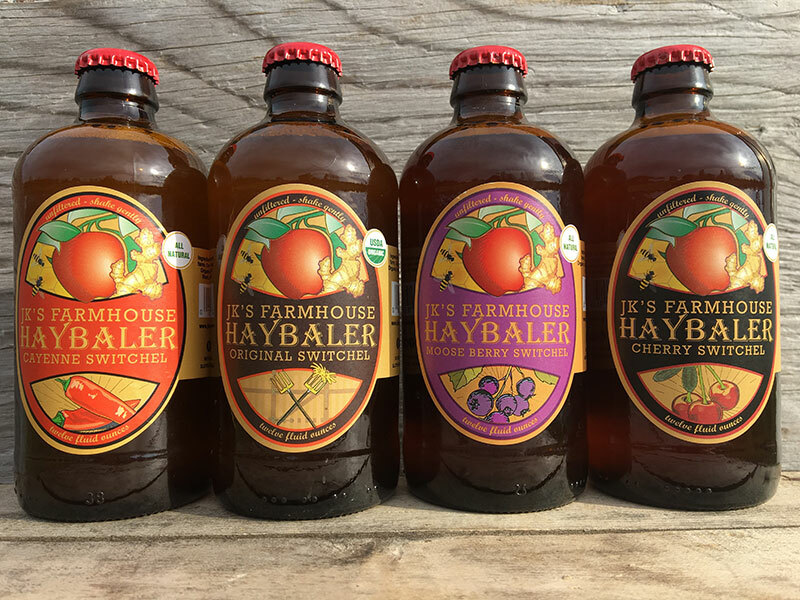 Haybaler is our “drinking vinegar” – apple cider vinegar, honey and ginger – an old-fashioned energy drink, available in four flavors by the bottle, 4-pack or case. Come on into the store and try all four! Bees (and other pollinators) are essential to the success of our apple crop, and at the store we offer the other product of their labor. 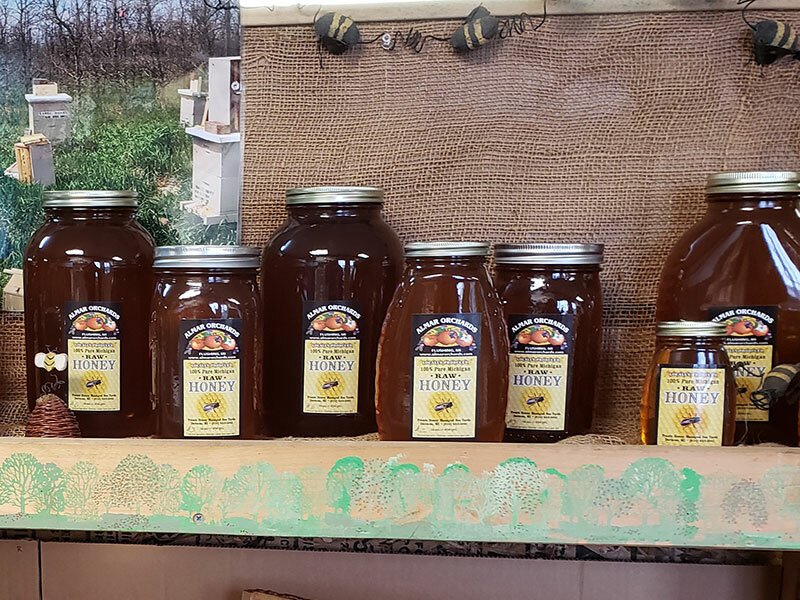 Managed and processed by our “bee guy” Ken Franz, Almar Orchards raw honey is always available in the store, along with honey straws, beeswax and the cutting boards Ken makes from our pruned trees. In olden days, every farm harvested sap from maple trees to make maple sugar and maple syrup. When the emphasis shifted to apples, the Almar sugarbush lay sleeping. 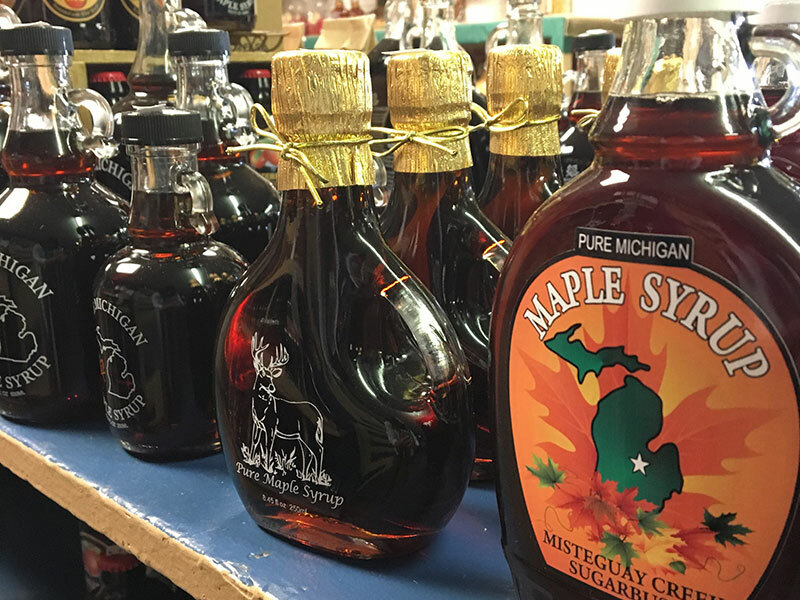 Then, in 2017a neighbor Bob Frieke of Misteguay Sugarbush took over and now Almar Orchards Maple Syrup and Maple Sugar are available again in our store. During The Season, and for special events the rest of the year, we have donuts like the ones “gramma” used to make. 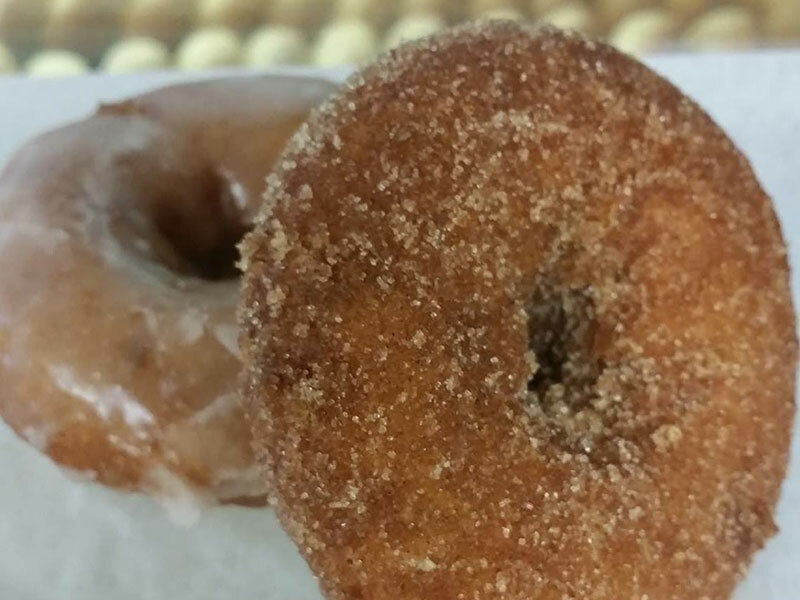 Hot, fluffy, made with an apple batter and a touch of cider in the mix, Almar donuts are a dieters’ downfall!